Each year, around 20 sportfishing tournaments take place in The Bahamas. Drawn by the archipelago’s clear waters and plentiful pelagic fish, anglers flock to the country injecting money into the resorts, marinas and charter firms that have sprung up around the industry. This year, The Bahamas’ largest billfish tournament, the Bahamas Billfish Championship (BBC), celebrates its 40th anniversary—a milestone that not only speaks to the enduring popularity of the sport, but also reflects the country’s long history of skilled and competitive fishing. 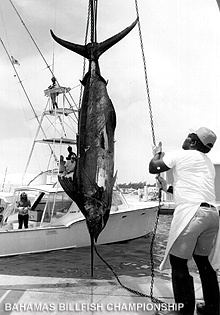 Sportfishing is not new to The Bahamas. The country is well known for breaking records and luring world-class anglers to its waters. Legendary sportfisherman, and inductee of the International Game Fish Association (IGFA’s) Hall of Fame, S Kip Farrington made history in 1933 when he landed Bimini’s first recorded blue marlin. An associate editor of Field and Stream magazine, Farrington wrote articles praising Bimini’s waters and attracted the attention of other keen anglers, such as Ernest Hemingway, who came to Bimini in 1935 and is credited with landing the island’s first unmutilated bluefin tuna. Bimini’s reputation as the unofficial fishing headquarters of the islands was cemented in 1955 when the Bimini Big Game Club Resort & Marina opened its doors and began hosting international tournaments. Many of the records set during Bimini’s boom time remain unbroken today. Thanks to their position in the warm waters of the gulfstream, the islands of the Bahamian archipelago are passed by hundreds of migrating fish making their way along the current. More than 50 sportfishing records have been broken in Bimini and several high-profile tournaments take place there every year, from the Bahamas Wahoo Smackdown in November to the Billfish Bonanza in May. Abaco is also a popular haunt for fishermen. In 2011, the team of the Double Dog broke the Bahamas blue marlin record when they pulled in a 1,119 lbs fish after a three hour battle off Treasure Cay. Goulandris also rates the waters north of Harbour Island and Spanish Wells as a good spot for tuna, and north Andros for dolphin. 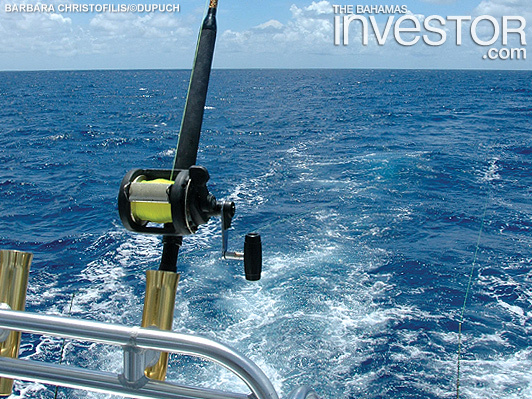 Sportfishing in The Bahamas typically focuses on seven species. The billfish species of blue marlin, white marlin and sailfish are found in deep waters, far from shore and attract international anglers ready for a challenge. When caught in a tournament, billfish are usually released back in the water, as their populations are not stable enough for intensive fishing. The more sustainable wahoo, dolphin, tuna and kingfish do not have to be released, although the Department of Fisheries does set limits on how many an angler can catch. The Bahamas Billfish Championship (BBC) celebrates its 40th anniversary this year and is the oldest billfish tournament series in the world. The BBC runs from April to June and encompasses four tournaments, which take place throughout the archipelago. Anglers are allotted points, depending on their performance in each tournament, and these are totalled to determine the overall champion. When the BBC began in 1973, 15 boats signed up. Last year almost 50 registered. At the height of its popularity, BBC president Al Behrendt says the tournament saw 86 boats compete. The entry fee for the BBC is $3,000 in advance for each tournament or $3,500 if you are paying less than 30 days before it starts. The anglers compete for trophies and merchandise prizes that are awarded at each tournament. For the overall top three finishing teams, there are bronze trophies and merchandise prizes. For the overall champion, there is a BBC Championship ring that “rivals” the Super Bowl ring, according to Behrendt. It is made and presented by Abaco Gold of Marsh Harbour. With anglers coming from around the world to test their skills in Bahamian waters, Behrendt says the biggest challenge is finding somewhere to put them. “When the tournaments are that big the number of facilities able to accommodate that many boats is very limited,” he says. “That is the biggest challenge—not only hosting the boats, but also being able to feed the people and provide the services they need. This year, the BBC comprised of tournaments in Treasure Cay, Guana Cay, Harbour Island and Marsh Harbour where the final leg of the series took place. The event is funded through sponsors and entry fees. According to estimates from the BBC drawn up in the early 2000s, the tournament contributes around $4 million a year to the local economy. It also serves to raise the country’s profile in the highly competitive tourism sector, and bolsters its reputation as a sportfishing Mecca. For four decades the championship has attracted competitors from the US, Canada and the UK; many of whom have developed a real camaraderie, according to Behrendt, who has been involved in the tournament since its inception. 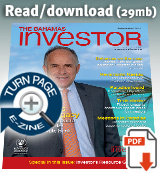 “The fraternity that has developed over the years has been very interesting to watch. People that met at the tournaments went on to have business ventures together and we have had marriages dissolve and marriages created. The Lyford Cay tournament runs for two days and takes place at the end of April, start of May. It has no sponsors and relies on entrance fees for funding. Participants are not limited to billfish, but, in adherence to IGFA standards, there are restrictions on how the fish are caught and brought into the boat. Billfish must be released and all other species are limited to 15 of each per angler. Goulandris and his team on the Zephyros—named after the Greek God of the west wind—prefer to troll for wahoo, dolphin or tuna rather than billfish. While many in The Bahamas are keen fishermen, Goulandris is quick to highlight the differences between the hobbyists and tournament participants, saying: “In a tournament it is a highly skilled sport. It takes experience and knowledge.